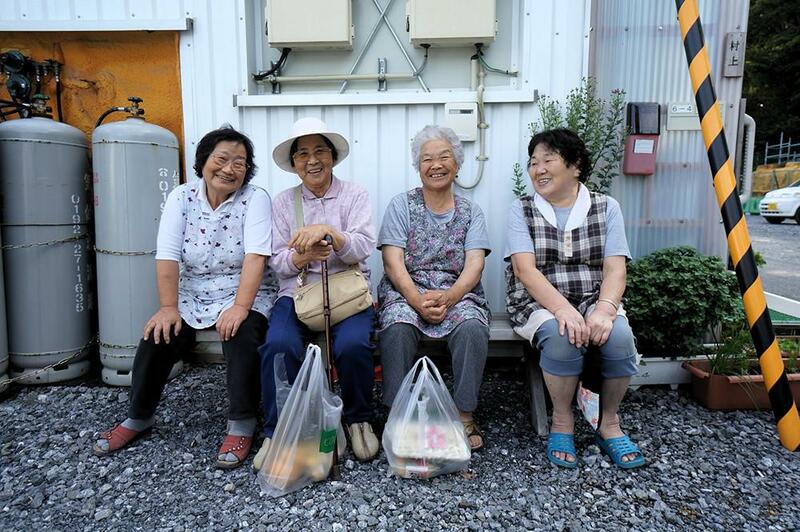 With Japan’s aging population and a changing society, caregiving is a complex issue. But new technological innovations may provide solutions that were once unimaginable. Dr. Michael Birt, PhD in Japanese Studies and Atlas of Caregiving advisory council member, has worked as a consultant for many large, multinational healthcare companies, a thriving sector in Japan. In 1990, Birt and a friend decided to open their own healthcare company focused on Japan’s aging population. He has since traveled the world to study gerontology issues. In 1985, Japan was still a relatively young country. But as both the birth and death rates continued to rapidly decline, it wouldn’t stay that way for long. By 2015, the aged population (65 years and over) had reached 33.42 million, or 26.7 percent of the population — a record high, according to the Japanese Statistics Bureau. Compare that to the U.S.’s 14.8 percent, France’s 19.1 percent and Sweden’s 19.9 percent, and it’s easy to see how Japan’s challenges were unique. Change came quickly; while France’s population of over 65 exceeded 10 percent in 1940, Sweden’s in 1950 and the U.S.’s in 1975, it wasn’t until 1985 that Japan’s aged population exceeded 10 percent — only to quickly surpass the others. Thus, while Europe and North America had decades to discover solutions to their aging population, Japan has no such luxury — its aged population is only continuing to skyrocket. Further, in 2015, Japan’s child population (under 14 years) accounted for only 12.7 percent of the population, its lowest level on record. Since 1997, the aged population has far surpassed the child population. Because Japan’s population has aged so rapidly (along with much of Asia’s), the lack of future caregivers is an urgent issue. This brings both challenges and opportunities for innovation, explains Birt. Further, compared to places like the Middle East, Asia has excelled at informing its people of the resources and options available to them. Unlike the Western concept of ‘creating yourself,’ Birt explains, Asian identity is typically set from birth, playing a large role into the country’s caregiving identity. This, combined with the belief in karma, traditionally implied that women were responsible for caregiving, whether for her own parents or her spouse’s. These caregiving dynamics began to change — not only in Asia, but around the world — when women began receiving the same education as men. In Japan specifically, the rise in education for women also brings a rise in power and freedom of choice, especially related to traditional duties such as caregiving. The result? The desire for a different kind of life than the stifling traditions of prior generations. Technological advances may herald potential solutions, says Birt. Japan, like America, is hoping to use new innovations to avert a caregiving crisis. But unlike America, it may face more challenges in attracting the help from people of other countries. While Japan could benefit from America’s ease of attracting immigrants to assist with caregiving, America can learn from Japan’s technological advances — technologies that, Birt says, could be fashioned to be culturally acceptable and used in America. Interestingly, America’s own Japanese population is slowly coming around to other non-traditional methods of care. While the concept of professional care and retirement homes were traditionally considered shameful in Japanese culture, many Japanese-Americans are now utilizing retirement homes and thriving inside of them. In light of the future of caregiving, this method of learning from one another’s successes while bolstering the effort of globalizing innovations, Birt concludes, may be the most efficient way forward. Atlas of Caregiving looks forward to having the global insights of Dr. Birt as they continue to discover ground-breaking insights and solutions for a better future of caregiving.